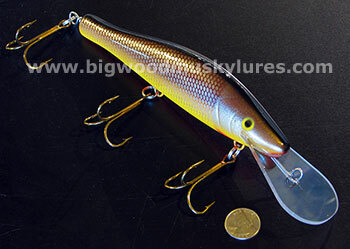 Description: The Perch Bait from Legend has becaome a "go-to" bait for many serious Muskie fishermen. The Perch Bait has the same, fish-catchting characteristics as it's big brother, the "Plow". 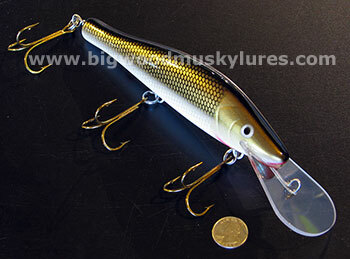 The tough, lexan lip is anchored into the bait. 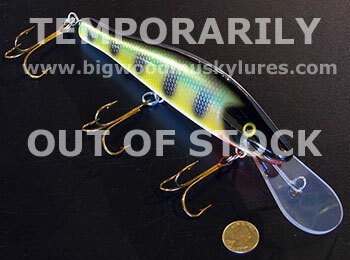 The Legend Perch Bait is built with through wire construction encased in a super-tough, solid plastic body. 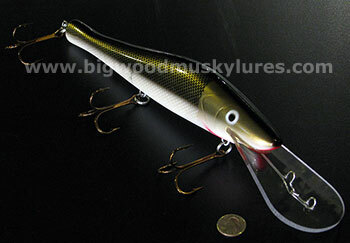 Cast the Perch Bait down to 10 to 12 feet. 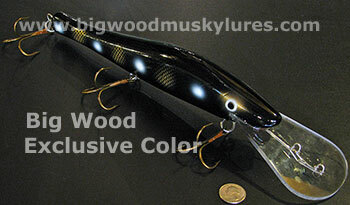 Can be trolled at speeds over 6 mph and achieves depths of 20 or more feet. 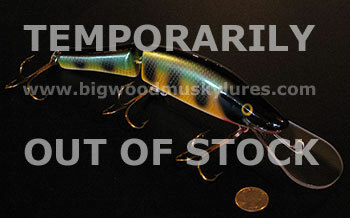 10" with lip and 4 oz. 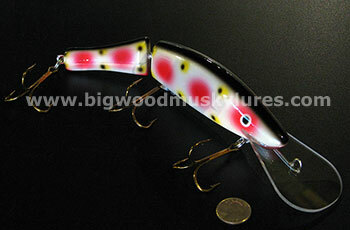 Description: The Jointed Perch Bait from Legend is built with the same tough materials and excating standards as all the Legend Lures. 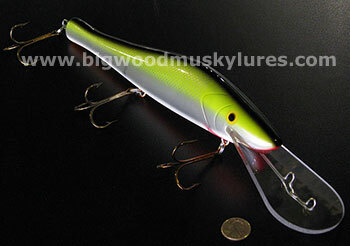 The Jointed Perch Bait trolls down to 24’ and casts to 10’-12’. 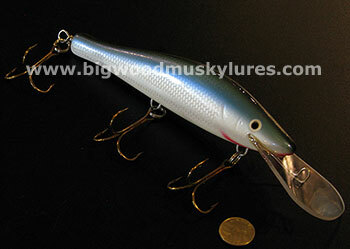 This classic Muskie Crankbait will troll accurately at speeds over 6 mph. 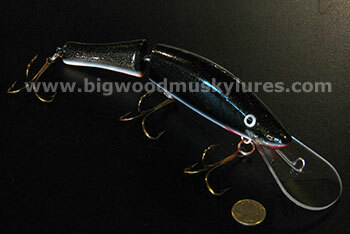 10" with lip and 4 oz.. 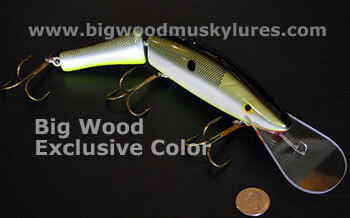 Description: For years, the Legend Plow has been "THE" big bait for big Muskies. 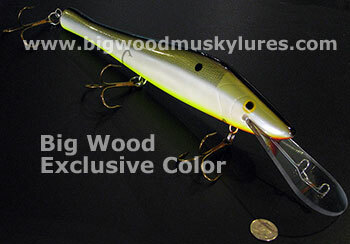 Many big Muskies have just hammered the Legend Plow when other baits were simply ignored. 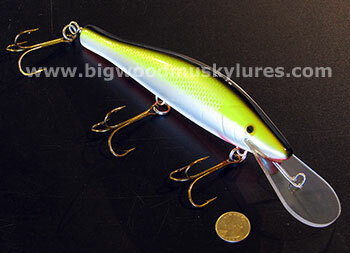 The plow has two depth settings that allow you to troll this crankbait up to 20 feet and more on the shallow setting and over 30 feet on the deep setting. 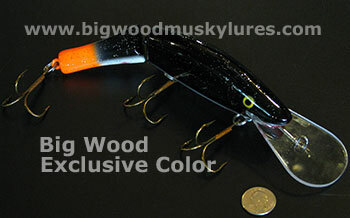 The Legend Plow truly is a legendary Muskie lure. Try one and find out why! 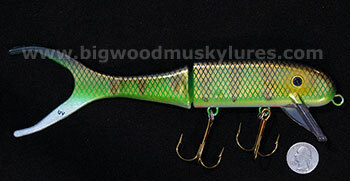 14" with lip, 9 3/4 oz.. 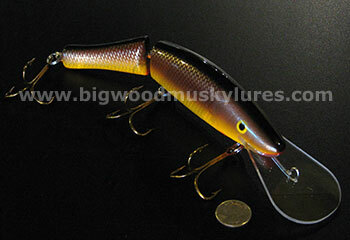 Description: The Shallow Invader runs 2 - 4 feet when cast and is a lethal twitch bait. A very effective technique is to pause several times in mid retrieve. It can be trolled at 6+ mph. 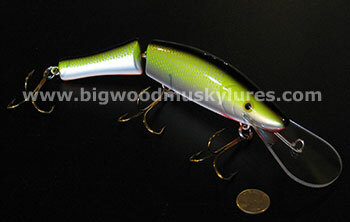 Shallow Invaders, by Muskie Innovations, are the most innovative crankbaits on the market today. 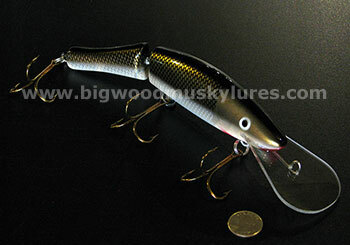 The Shallow Invader combines a hard plastic crankbait head with a soft plastic action body and tail. 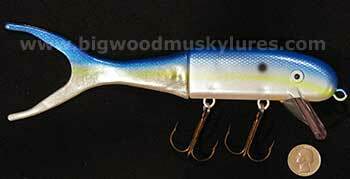 This knockout combination creates incredible serpentine action that drives Muskies, Northern Pike and other large gamefish crazy. 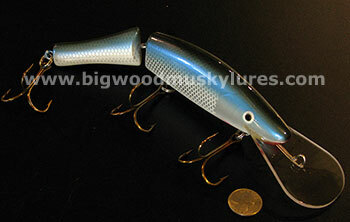 The Shallow Invader has molded-in solid plastic lips for durability and replaceable soft tails. 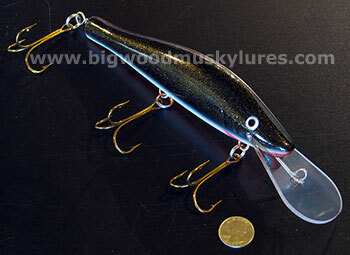 8", 3 oz.